What a difference a week makes. Our first trip to Carrowmore saw us face brilliant sunshine and blue skies. This coupled with no wind led to testing conditions to say the least as temperatures reached the mid-twenties. Despite this I somehow managed to land one fish that put up the laziest fight I’ve experienced from a salmon, swimming directly to the boat once hooked, giving himself up almost immediately. Perhaps the heat was too much for him! A week later and conditions were more favourable. There was some much needed rain midweek which gave the lake a bit of a shake-up. Temperatures had now dropped to the mid-teens, the breeze created a nice ripple on the water, and there was plenty of cloud cover. The fresh fish which had entered the lake were in a taking mood, and we were rising fish on every drift. We actually rose three fish in the first five minutes! The best fish landed came after an explosion on the surface of the water to my top dropper. The fish came clean out of the water and then stripped about fifty yards of backing. It made several more similar runs in various directions before deciding to hug the bottom around the boat. My cast was in a knotted mess from the initial jump and I applied as much pressure as I dared. By this stage I had a bit of an audience as several boats had stopped for a look. I could hear comments of “He’s had that fish on for over an hour”, and “He must be stuck in the bottom”. Normally this is the time when a fish is lost as the angler gets impatient and tries to force things, but there was only so much forcing I could do seeing as the tackle I was using was effectively trout gear. 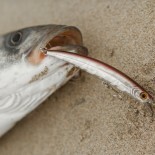 After almost ninety minutes, the fish began to come to the surface every so often. 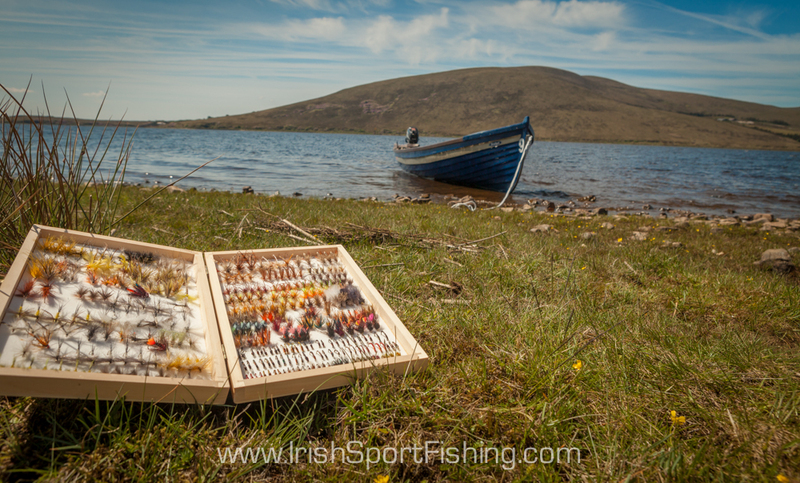 Luckily for John he was able to net the fish – if he hadn’t then he would have gone overboard! 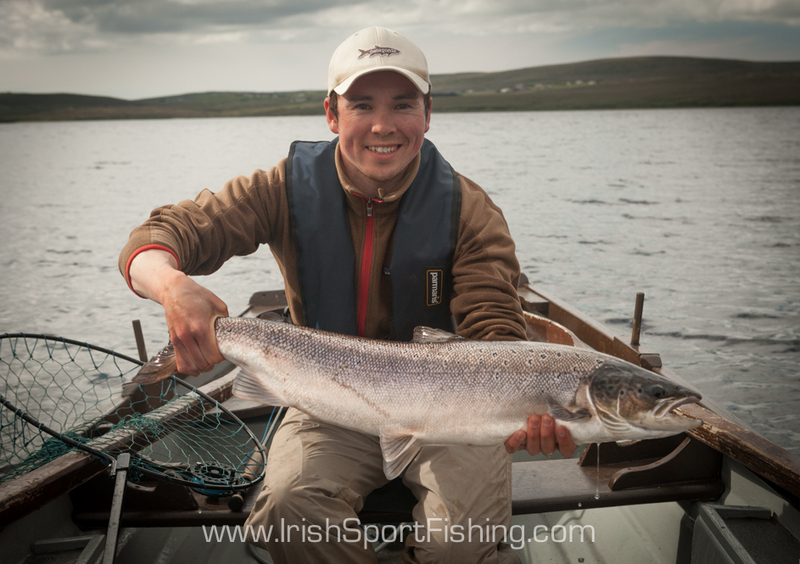 We both estimated the fish to be a good 16lb, and at 89cm various online calculators give a weight of around 17-17.5lb. I was a bit concerned whether the fish was going to go back ok given the length of time it took to land, but seemingly my efforts to turn her and coax her towards the boat in the last half hour were doing little to tire her out. She must have been just sitting on the bottom not expending much energy as she swam away strongly after only a couple of minutes of reviving. 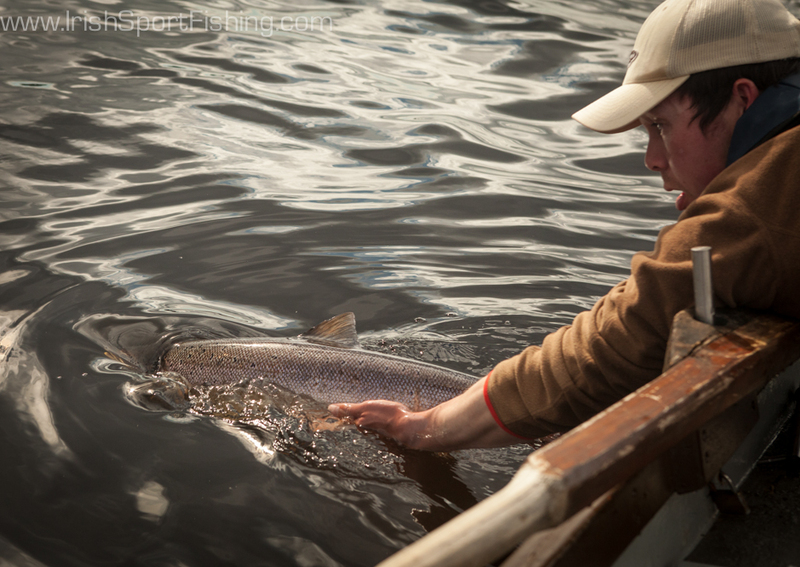 While always a possibility, you never go out expecting to catch a fish of that size. 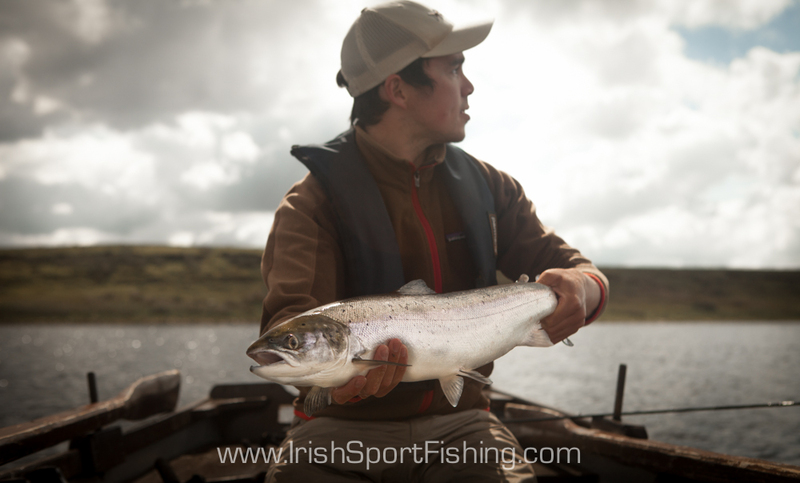 I’m lucky to have experienced it on trout gear, and I know i’ll probably be waiting for a similar experience in this country for some time! Super fish well done Steve. 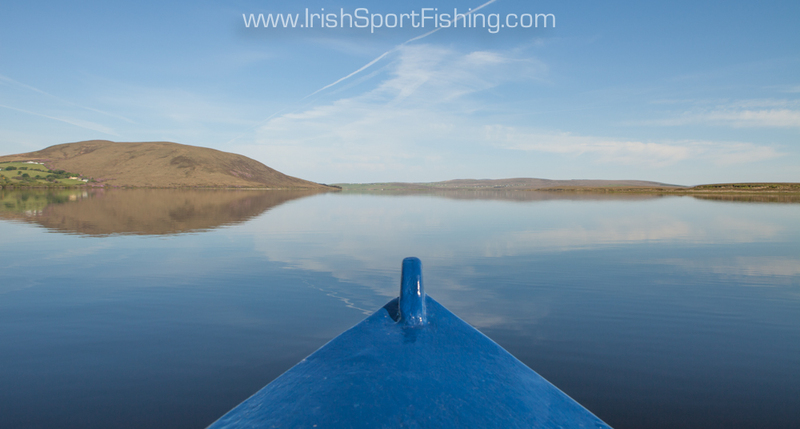 This entry was posted on June 25, 2013 by steve and tagged carrowmore fishing, Irish Sport Fishing, Lough Carrowmore, salmon fishing in ireland, www.irishsportfishing.com.